I’m going to have to really watch autocorrect for this post. It keeps switching it to “wonderful” which it actually is! I know it’s winter. I know it’s cold. I know I should be doing a post about snow and ice and staying snuggly. It’s a little bit about winter…? 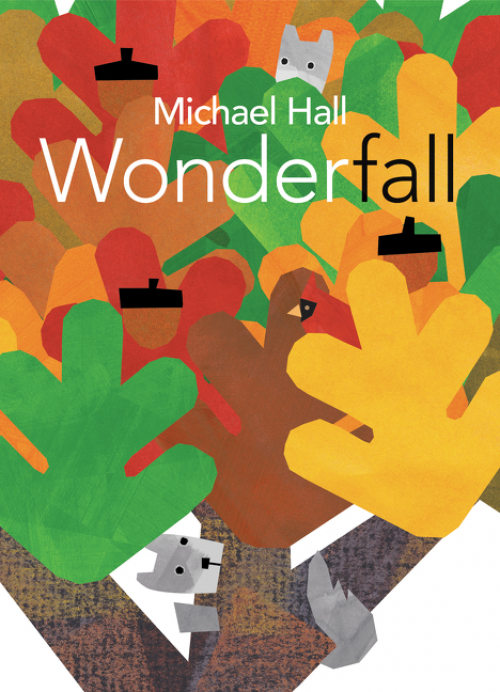 Wonderfall, by Michael Hall (who also did the book RED: A CRAYON’S STORY, which I chatted about here a while ago) uses the oak tree as the poetic narrator to tell us about all the animals, people, events leading up to the first snowfall. 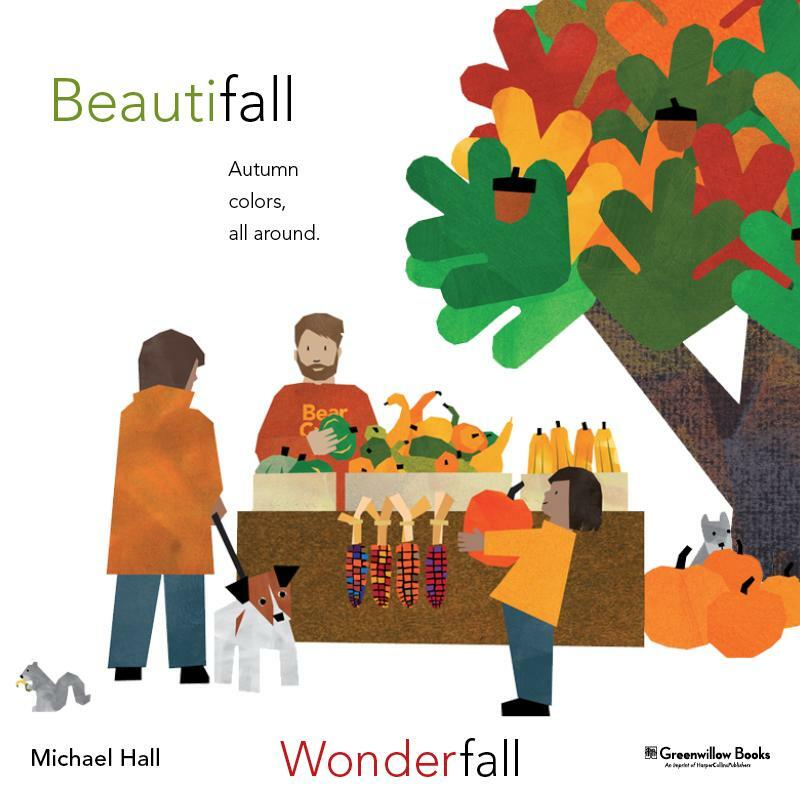 And that’s lovely, but I always get excited when a book gives you more layers than that and that is what Michael Hall accomplishes so well. Each passage of time gives us some wordplay fun (or wordplay pun). “Peacefall”, “Plentifall”, “Frightfall” corresponds to the events at that progression of time. The digital ‘cut paper’ style illustrations are bold, but full of character, details and interest. The sparse words are fun to say out loud and thoughtfully explore all the senses and feelings that the changing season evokes. 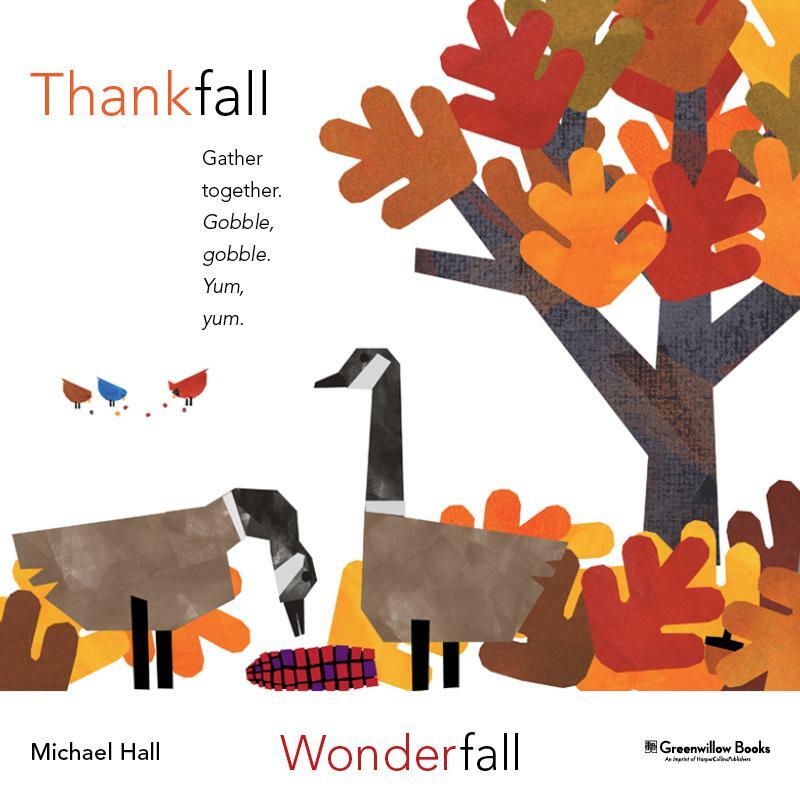 At the end, we are treated to three pages with a paragraph about how each animal prepares to get through the winter and ending with the Oak tree itself. The information is engaging, interesting, and full of fun bits of scientific trivia that kids will enjoy. I hope you all stay safe, and warm, and cozy this winter! 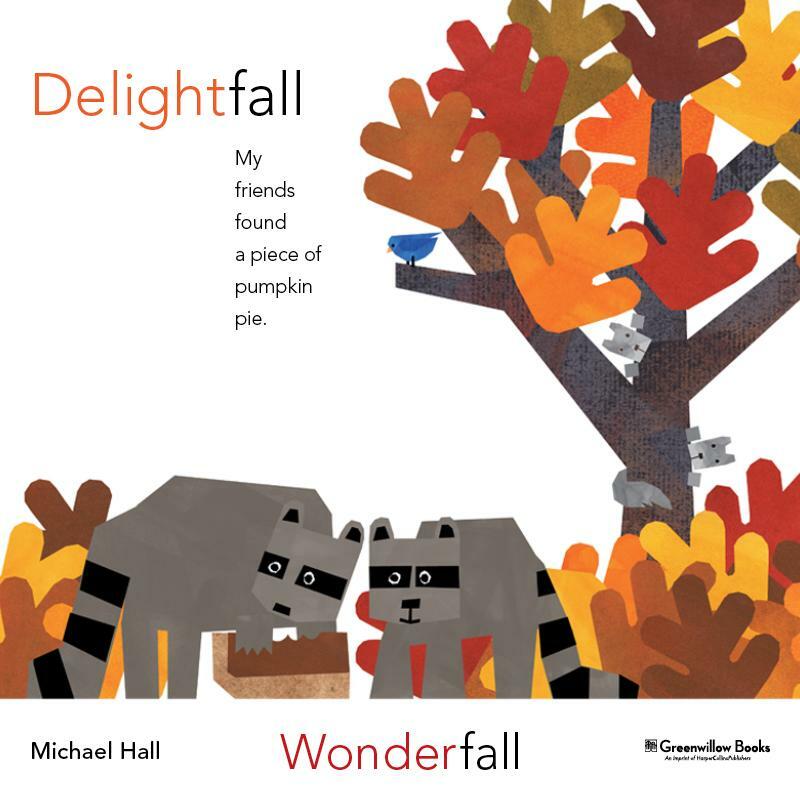 Jennifer Black Reinhardt, michael hall, wonderfall. Bookmark. I love this book and the word plays! I’m glad you like it, too, Angie! 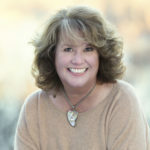 Thank you for taking the time to visit and comment. Such a simple idea so beautifully played out — looking forward to getting my hands on this one! Thanks!! I’m glad you’ll look it up, Anna. Thank you so much for stopping by! This looks lovely, Jennifer. Thanks for sharing! Thank-fall you shared this one, Jennifer. I’d heard about it, but not seen it yet. It looks lovely. So vibrant, and kiddos will feel smart when they get the puns. Looks beauti-fall. I love Michael Halls books. I can’t wait to get this one. Thanks for sharing. 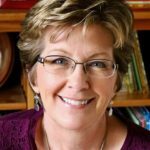 Thanks for stopping by and commenting, Susan. Hope you like it! Read it, pinned it, loved it. Clever, Mary! Thank you so much for visiting and commenting! The word play and illustrations all in one great book. I can’t wait to get it. Love the wordplay! Can’t wait to get my hands on this!